G.NA (지나) was a South Korean singer. She has been inactive since 2015 after a sponsorship scandal. She debuted solo on July 14, 2010, with the album G’s First Breath. -She is from Edmonton, Alberta, Canada. 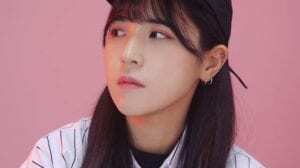 -She was originally supposed to debut as the leader of Five Girls (with After School‘s UEE, Uni.T‘s Jiwon, Wonder Girls‘ Yubin, and Secret‘s Hyosung) under Good Entertainment, but the company went bankrupt before she could debut. -Education: Fraser Heights Secondary School. -She appeared in 2PM’s debut MV. -In early 2016, G.NA was indicted for allegedly having relations with a U.S. businessman for money. She denied these claims and said that the two were in a romantic relationship; however, she was fined 2 million KRW (1,772 USD) and did not re-sign with any agencies after her contract with Cube Entertainment expired. How much do you like G.NA?